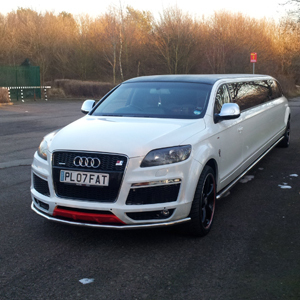 The Audi Q7 makes for an ideal wedding car, with its sports car look and luxurious feel its an instant hit with guests and bystanders alike, it is one of only a few confirmed in the country so you can rest assured you will look and feel like a VIP for your special day in Essex. Its stunning looks would make the perfect back drop for those treasured wedding photos, and the memories of the Q7 will last a lifetime. 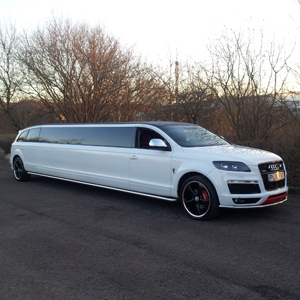 The Audi Q7 would also be a great choice of prom transport in and around Essex as its classic engineering and style are bound to make you stand out as you arrive to prom and step out in style. 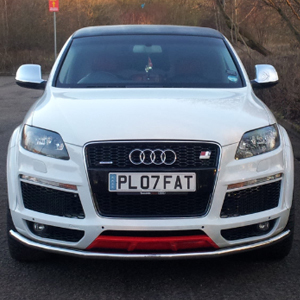 The Audi Q7 is the perfect car for stag and hen dos in Essex as you cruise around you're bound to be noticed for all the right reasons. With a personal chauffeur you wont have any worries about taxis and such like as our drivers are available 24/7, to ensure you get home safely ready for the big day.